Looking for real ways to make money from home? There are so many ways to make money from home online these days, let our affiliate program be one of them! Profit from our experience without any of the risks! Earn between 7%- 12% advertising fees with a trusted SmartShop e-commerce who has been a leader in e-commerce business since 2005! SalviaExtract.com 20X and Kratom are both surging in popularity, and now you can join in the profits without any of the risks. Become a part of this growing community with no investments, no risks, just all profit! Enjoy making money from home online with no effort on your part. We are always open to have a chat and can be reached on our contact page. Your PayPal email address is all that is required for payouts. We don’t send checks or money orders due to fraud in the past. Ready to start earning? Sign-up takes less than 1 minute. Earn a monthly commission for your website! Choose from a wide assortment of products to advertise to your customers. Whether you are a large network, content site or blogger, use simple linking tools. You will be assigned a unique link identifier that will be associated with your account. 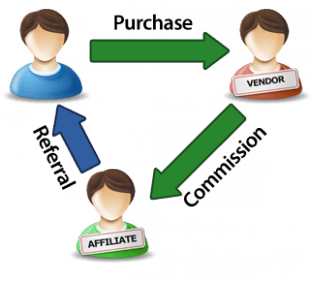 Each time a visitor on your site clicks and completes a verified purchase you earn a commission. One of the easiest ways to make money from home online with our affiliate program! A verified purchase is somewhat different for us than for other stores. Whenever a customer selects that they wish to pay by Cash on Delivery, we require the customer to confirm. Once we have received the check back from the Cash on Delivery, the order then becomes confirmed. If the customer pays via bank transfer or by credit card, the purchase is automatically authenticated upon receiving confirmation from our banking partner.